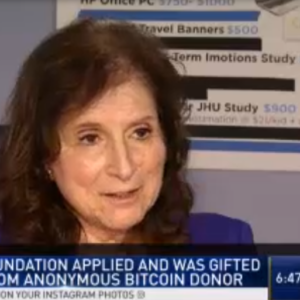 The anonymous donor, “Pine” has donated $1 million dollars worth of Bitcoin to increase World Wide awareness and Improved Care of Children with X and Y Chromosomal Variations to a local non-profit organization. Davidsonville, MD: The Focus Foundation, the only non-profit research organization specializing in the research and treatment of children with X and Y chromosomal variations, is thrilled and honored to be chosen to receive a large donation from the Pineapple Fund. This gift will shorten the diagnostic odyssey for families throughout the world and lead to earlier identification and treatment of these common occurring but rarely diagnosed chromosomal disorders. 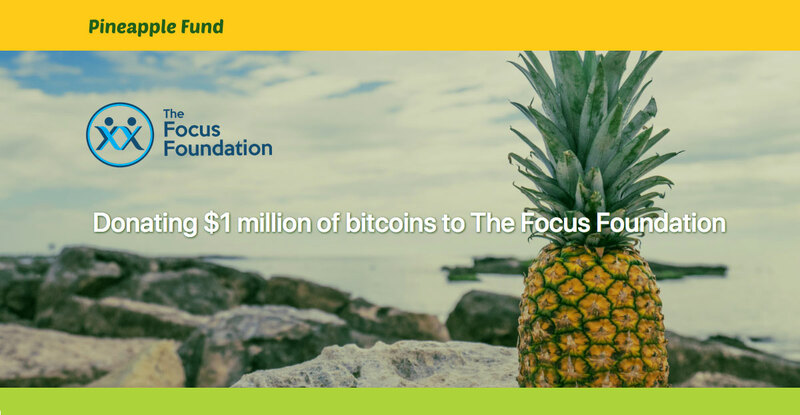 Our research caught the eye of the anonymous Bitcoin charity fund, The Pineapple Fund, in its quest to donate a staggering $86 million worth of Bitcoin to charitable causes. “Pine” has recently made news for its charitable use of cryptocurrency, which required an online application for consideration. Donations range from $50,000 to $5 million to those charities selected, and The Focus Foundation was selected for a $1 million donation a record breaking one-time gift for The Focus Foundation.